It's a program suite which plays video files copied from dvd/bluray discs. Did not know about that! Personally I don't use plex. I already have my own set of programs which does this, where I use the computer to play multiple tv episodes (or dumb movies) one after another in the background when I'm at home. I feel the same way about The Streets of San Francisco as well! My two volumes of season 14 arrived this afternoon. All 26 episodes are remastered and look great. Keep 'em coming, CBS! 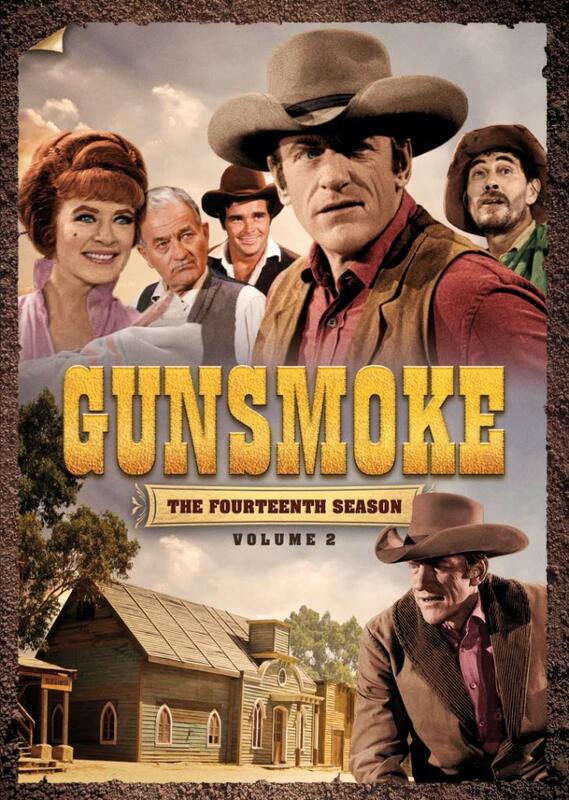 For all the wishin' and hopin' we do for so many series on this forum, Gunsmoke is the one I'd really, really like to see completed. Randy Korstick, Flashgear, JohnHopper and 2 others like this. I received shipping confirmation from Amazon...I should have both season 14 volumes in hand soon...looking forward to seeing them again, and finally remastered...the second episode, The Hide Cutters, was filmed at scenic Vasquez Rocks State Park and features the great Joseph Campanella, Combat! 's Conlan Carter and Rawhide's Steve Raines. This brings us up to 489 episodes released on DVD from the S1 to S14 sets...and a few more than that in the previously released 50th anniversary and Directors sets! Which, I believe, would leave 146 episodes more to go, and six seasons left to go, to the checkers. I almost had a tear watching the first episode. Such a beautiful transfer compared to the old drab TV Land reruns. I'd be over the moon if these HD remasters were on Blu-Ray, but I'm not complaining. Season 14 is one of my favorites, and I really hope that CBS finishes the run on DVD(Please give us 15 before the end of the year). I know someone that loves old Western movies, but refuses to watch any Western TV series. I cannot understand this logic. I think if he were to watch a remastered episode of Gunsmoke he would be hooked. For my money a single good episode of Gunsmoke is on the level, or much better than any of the classic Western films of the time. Ron1973, bmasters9, Jeff Flugel and 3 others like this. I watched the first two episodes of the season 14 set, then skipped ahead to watch one of my favorite actors, Harry Dean Stanton, in "Johnny Cross." All three episodes ran about 50 minutes, 38 seconds, and looked great. Morgan Woodward and Robert Pine are outstanding in the first episode, "Lyle's Kid." Michael "Blue Boy" Burns appears in episode 14-2, "The Hidecutters," and does a fine job in a fairly large role. Playing the "gutter trash," to borrow Robert Ryan's line from The Wild Bunch, are Cliff Osmond, Eddie Firestone, Conlan Carter, and Ken Swofford. Good gutter trash makes for a good western movie or TV episode, IMHO. Stanton fans will enjoy his role in "Johnny Cross." It's one of HDS's more substantial guest spots before he transitioned to theatrical movies primarily. Bryan, can't agree more with you. I've said once before, Gunsmoke is so good, it's like watching a mini western movie every episode. Jeff Flugel, Bryan^H, ChrisALM and 2 others like this. Yes it is. 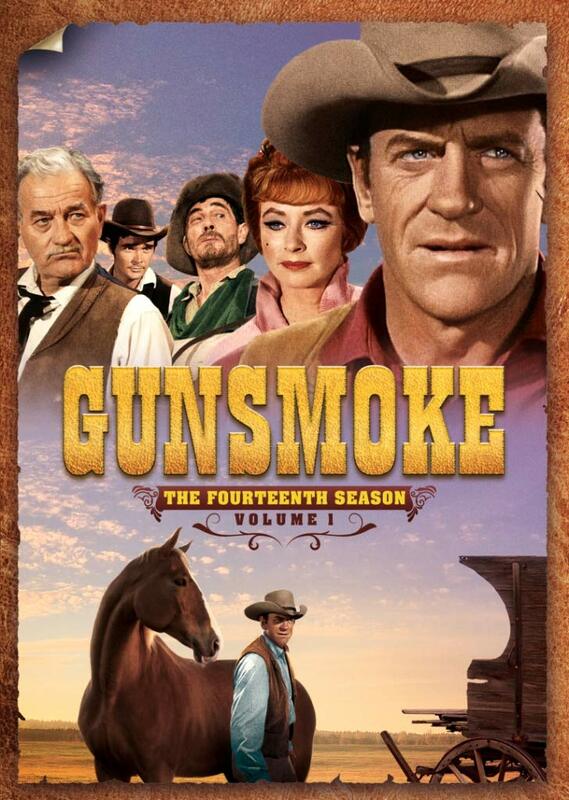 In fact I'd much rather watch an episode of Gunsmoke (the remastered DVD sets of course) over most Western films of the time. To me Gunsmoke is like classic episodes of Star Trek. I can re-watch episodes over, and over again. Doug Wallen, GMBurns, ChrisALM and 2 others like this. My sets should be arriving today or tomorrow. Can't wait to dive in! I bet you'll get a lot of mileage out of 'em! I finished all of season 14 last night with the finale, "Exodus 21:22." One of my favorite actors, L.Q. Jones, appeared in the final disc's episode "The Good Samaritans" and played his typical bad-guy role with relish. Newly made the cover art for both halves of season 14 and appears in most episodes during the season. Newly portrayer Buck Taylor moves up to top-of-the-episode billing with Matt, Doc, Kitty, and Festus starting with season 15. Poor Ted Jordan as freight agent Nathan Burke seems to get yelled at by Festus or Doc in about every appearance he makes in season 14. In this season, James Arness is absent for protracted periods in many of the episodes, sometimes not appearing until the final two minutes. All of the episodes looked great to me. Some run around 50:38 and others close to 51:04 or so. This season was the first not to feature the showdown-in-the-street opening sequence that began every episode for 13 seasons. Instead, Matt is shown riding at full gallop on a horse as the announcer says, "Gunsmoke, starring James Arness as Matt Dillon." And I would imagine that this newer-style opening would carry through the rest of the series all the way up to 1975. I think the run times for the post-1971 episodes, after that year's initiation of the Prime Time Access rule, were shorter. I get the feeling that they seem to want Gunsmoke to continue through to its 1975 end. JohnHopper and ClassicTVMan1981X like this.